School of Public Health Professor Michael Osterholm was recently named a regent of Luther College in Decorah, Iowa, by the school’s Board of Regents. Osterholm is a 1975 graduate of Luther College and previously received an honorary doctorate from the school. 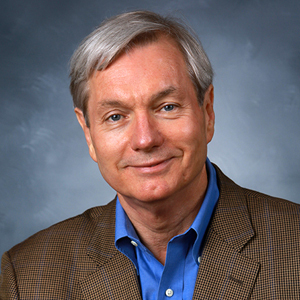 Osterholm is considered one of the leading public health experts in the country. He served as the Minnesota State Epidemiologist for 24 years and has been a key public health adviser to many U.S. federal agencies and the White House. Osterholm is also a member of the Institute of Medicine of the National Academy of Sciences and the Council of Foreign Relations, and director of the Center for Infectious Disease Research & Policy at the University of Minnesota. When epidemics threaten or strike, Osterholm is a world leader in developing effective responses, such as when West Africa needed help ending the Ebola eruption in 2014 or governments in the Middle East sought advice for creating effective control measures for MERS. Journalists from print, online, television and radio organizations frequently consult Osterholm on public health issues, making him one of the most prominent University of Minnesota scientific authorities in the media. Osterholm is an accomplished writer as well. His New York Times best-selling book — Living Terrors: What America Needs to Survive the Coming Bioterrorist Catastrophe — became a blueprint for the U.S. government’s response to the post-9/11 anthrax attacks. As a professor, Osterholm has advised 92 graduate students and Epidemic Intelligence Officers from the Centers for Disease Control and Prevention, and formally mentored more than 270 graduate students at the University. In 2015, the University of Minnesota lauded Osterholm’s academic expertise by naming him a Regents Professor, the school’s highest faculty honor. Osterholm’s term as regent begins this spring and concludes in 2020.